Inn at Huntingfield Creek holds unique moments for you and your guests. 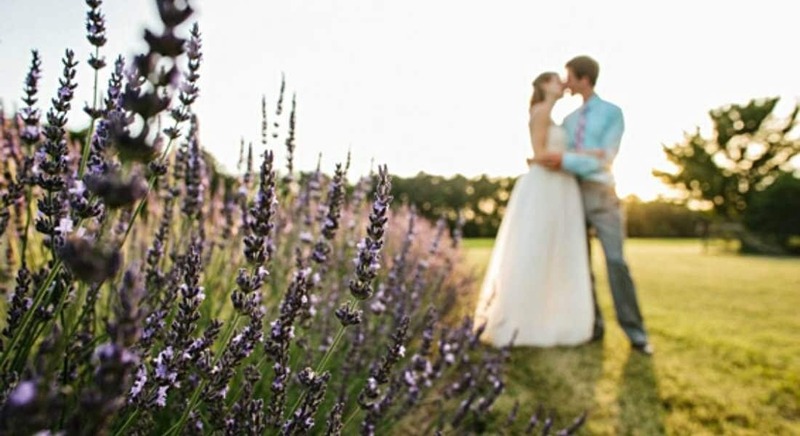 Our Maryland inn is one of the most romantic wedding venues on the Eastern Shore. 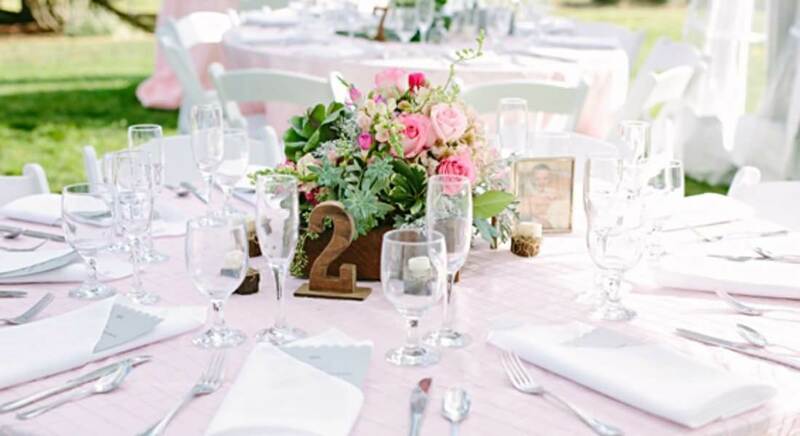 With 70 pristine acres of land, we offer a selection of wedding locations for both the ceremony and your reception. Our venue is just far enough away to have that ‘destination’ feeling, without all the headaches of far travels. The co-owner of the inn, Joanne Rich, is an experienced and accomplished caterer who specializes in local, fresh, upscale comfort food. She can help you pick out your menu choices to fit with your style and budget. We invite you to let us help plan your special day at our Eastern Shore wedding venue in Rock Hall, Maryland. 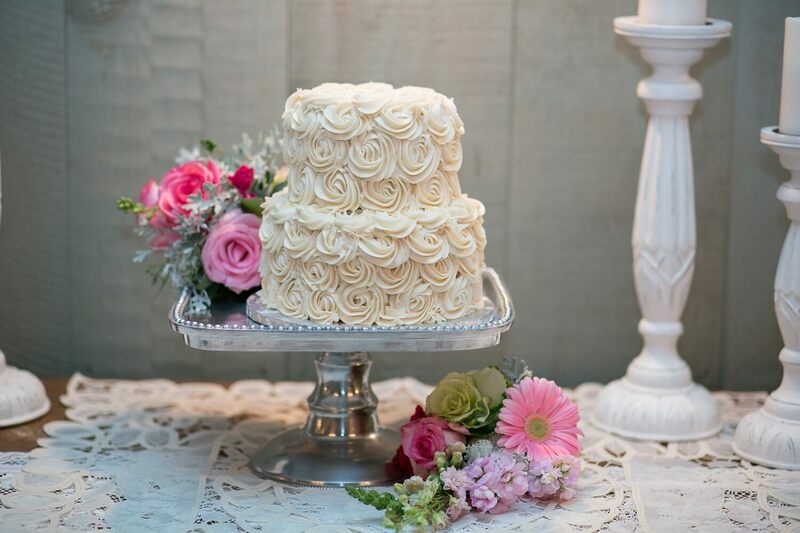 Our experienced wedding planners are here to help make your dream wedding become a reality. Together, we can make your wedding special and memorable, so that your wedding day will be one to remember. What makes our wedding venue stand out against others on the Eastern Shore is our crystal barn. It is an eclectic anchor to our main bed and breakfast residences with charming carriage doors and wide ceiling to floor sliding panels on the backside. This allows us to put up a tent adjacent for even capacities of up to 150 guests. 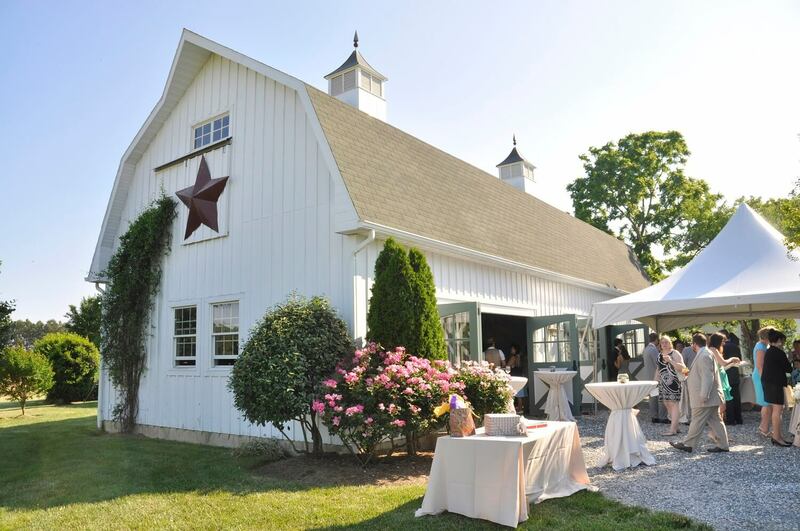 Our Maryland barn wedding venue features three Swarovski crystal chandeliers and a painted wall mural to provide the right degree of elegance for both simple and country-chic weddings. This private creek with multi-direction dock is the perfect backdrop for wedding photos and small (less than 20 guests), rustic waterfront ceremonies. Our green ‘wedding golf cart’ is always on tap to run bride, groom and photographer to the Creek for spectacular sunset photos. An expansive lawn and perennial garden flows to a pergola and thick, grassy path to a fountained wood-side pond. Perfect for weddings or any special occasion. A wonderful balance of open-ness and landscaped privacy. The Inn at Huntingfield Creek believes in devoting the exclusive use of the Inn for our wedding clients. After all, this is your special weekend. 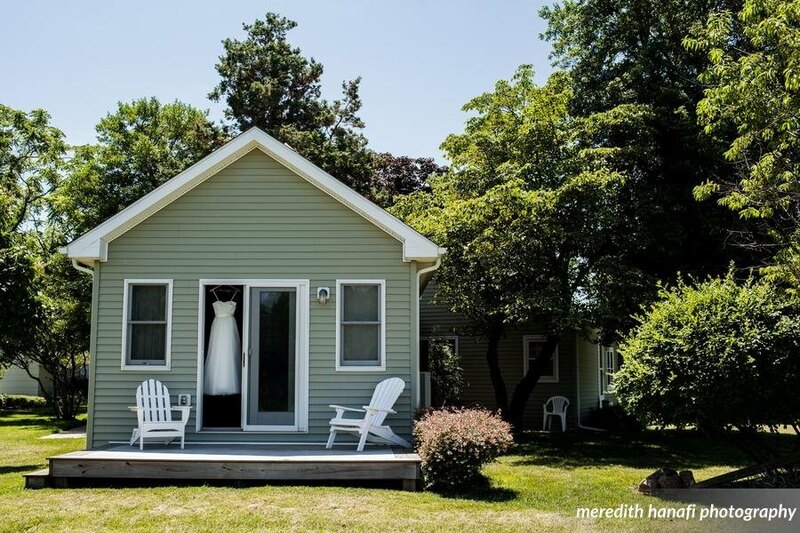 This means that you’ll have the entire inn and wedding venue to yourself! We require a two-night full Inn booking for weekend weddings that we may devote all of our attention to your special event. Currently, the cost is $3340+tax per night with full country breakfast. This includes two guests per room in our five rooms and seven cottages. Additional guests, where possible, are $30 per night. With 70 pristine acres, it takes a lot of time and toil to keep it that way for your special day. 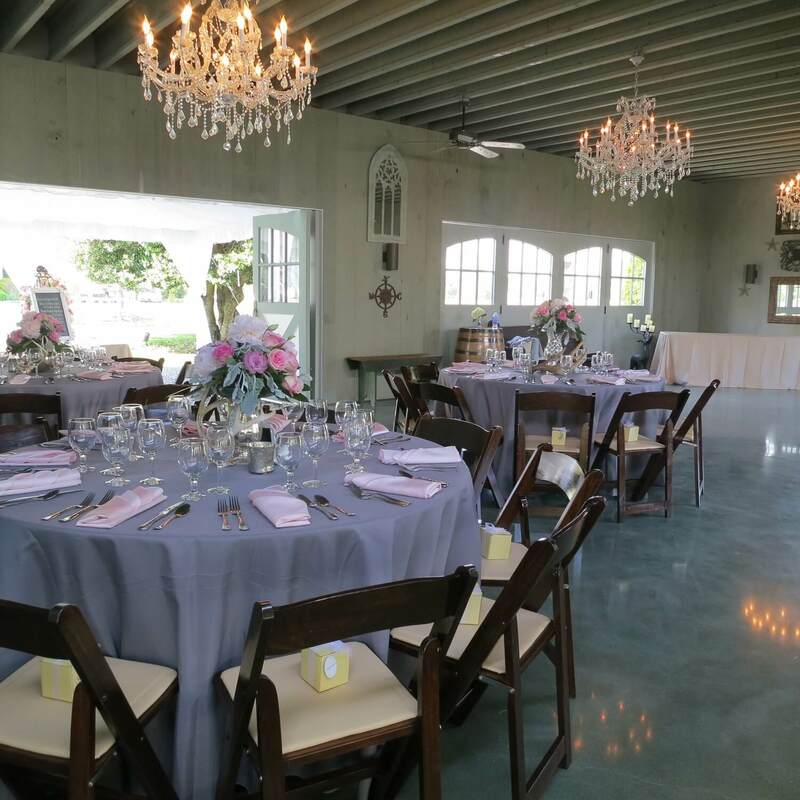 A sliding scale grounds fee based on the number of guests for your wedding day allows your party exclusive access and usage of the Crystal Barn wedding venue, Ceremony Garden and any/all other Inn grounds. 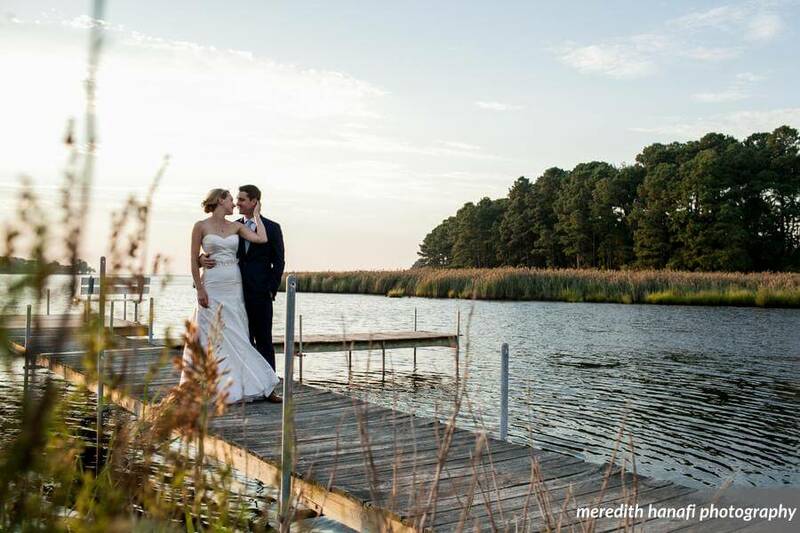 Our extensive waterfront and docks, pond and landscaped gardens are perfect backdrops for photos and the most memorable weekend for your Eastern Shore Maryland wedding. For more information check our Pricing & Guidelines pdf.